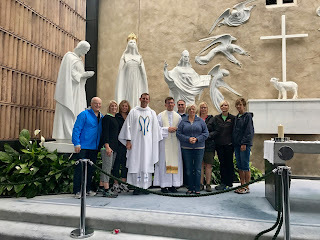 I was celebrating mass at a local parish the other day. 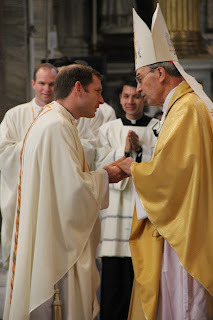 As I walked down the aisle at the beginning, a little girl shouted out, “Hey, what’s my priest doing here?” I chuckled. Turns out she goes to the school where I’m chaplain. On December 14th, I celebrated four years as a priest. Four very happy years. I love being a priest. Four weeks ago I signed a contract with Ignatius Press! They are going to publish an updated version of my self-published book, Blessed José. The working title for the new book is “Saint José”. Ignatius is the biggest Catholic publisher in the country, which means they will be able to get the message of Saint José to many, many people. 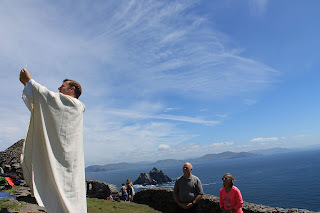 I was able to lead a pilgrimage to Ireland. 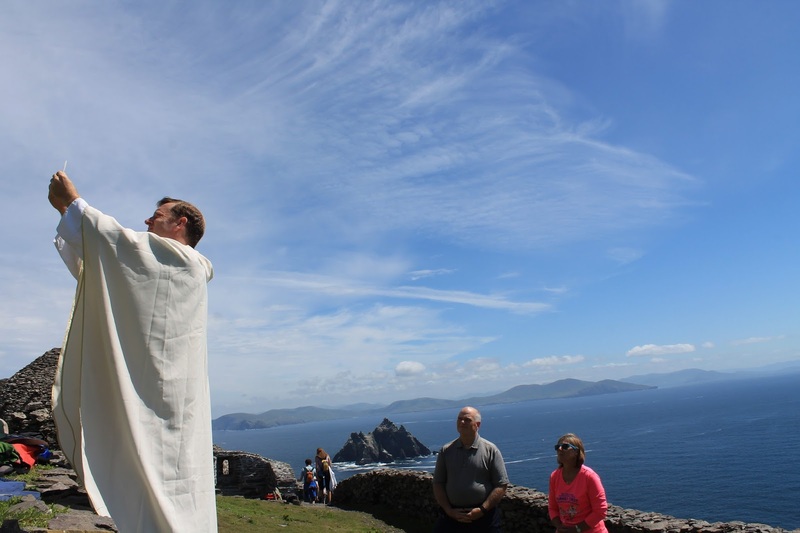 Back when I was a seminarian in Rome and would travel to Ireland every year, a few of us had the dream to one day bring Americans back to the “Isle of Saints”, a place where you can touch the faith of the people. This July that dream became reality. It was awesome, and I hope to make the pilgrimage a yearly event. 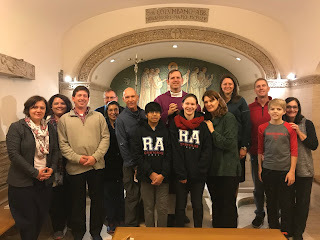 I lead my 4th pilgrimage to Rome and Assisi. 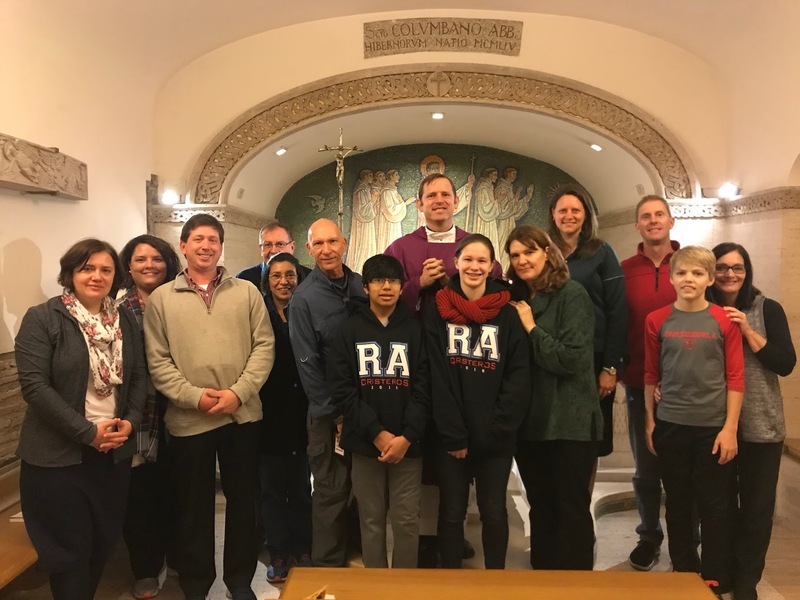 I learned a lot about Rome and Italy while I studied there, and when a dad approached me four years ago asking me to take him and his sons to Rome on pilgrimage, I was elated. Since then we’ve continued the tradition annually. 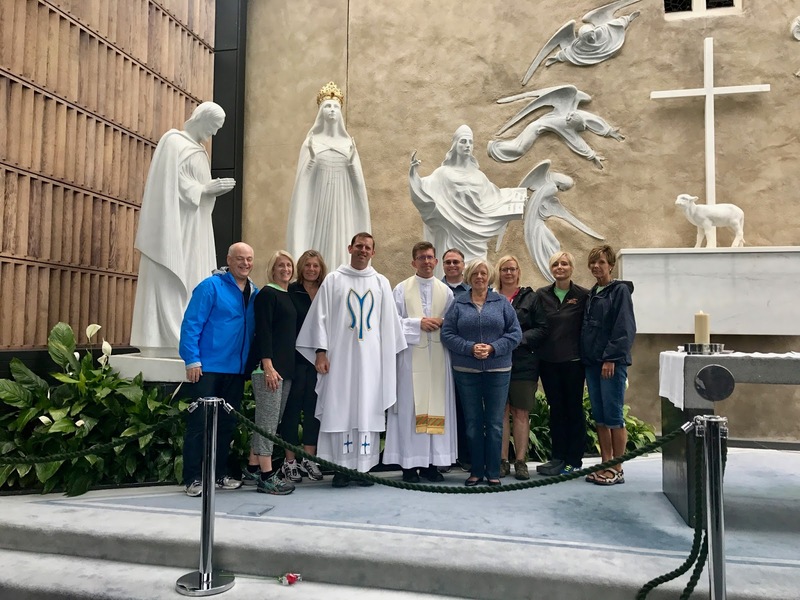 Not only is it a spiritual experience like no other for the pilgrims, but it’s a renewal for me as a priest to visit the places where I prepared for the priesthood and was ordained. On December 9th I celebrated mass in the place of my first mass, the chapel of San Pellegrino in Vaticano. God is good! My religious community has grown. 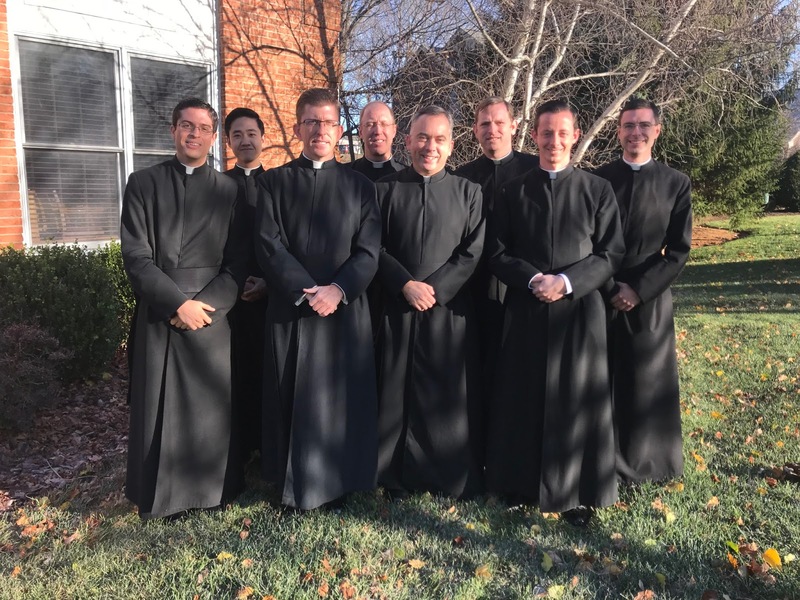 We are now five priests and three brothers. Newly arrived Brother Abraham is from South Korea, and Brother Carlos from Mexico. We now have five nationalities in our community. 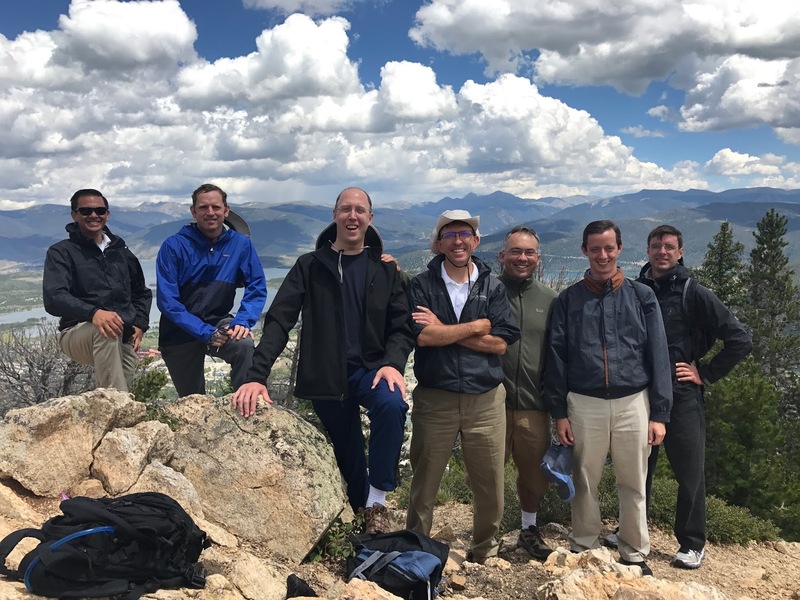 My community is a real family, and I love spending time with the fathers and brothers. Sure, we do get on each others’ nerves. But we’re brothers, and with all the different cultures, out cuisine has been raised to a new level! I’m in my 5th year as Chaplain at Royalmont Academy and loving it. There’s something magical about spending time around wee ones. 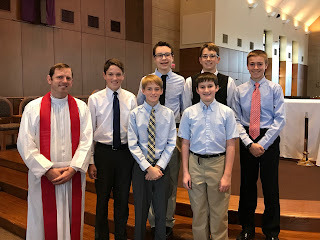 This year we’ve started to let younger boys serve at class masses. Even some first graders have been serving—though they need a bit of extra guidance. Serving was one of my greatest joys as a boy, and it wasn’t till I started serving that I actually enjoyed going to Church. The other day six of the boys who serve at school received the sacrament of confirmation at their parish. Two of the boys confirmed are twins, so you can imagine the joy of their proud mother. As I watched them, it dawned on me that all of them are my spiritual sons, so you can imagine the tremendous joy of this proud father! 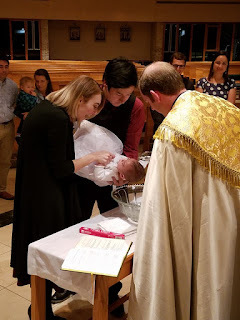 I was able to baptize one of my nephews and two of my cousins’ children. There’s nothing quite as joyful as bringing a little soul into the Church through baptism. “Let the children come to me, for to such as these belongs the kingdom of heaven.” We have so much to learn from little children, and each one brings so much hope to our world! I was blessed to spend a delightful vacation with my community in Colorado. Many of those days I hiked up to remote alpine lakes in search of trout. 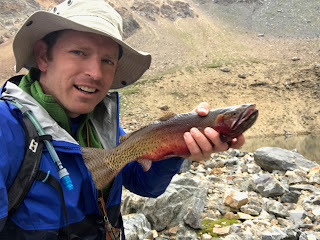 It took a lot of hunting, many scrapes and bruises, and many fruitless days of fishing, until I found where the fish were hiding. In the end, it made for a delicious trout dinner! I wished farewell to the Cardinal who ordained me a priest. Cardinal Velasio De Paolis was a great friend who helped save my congregation. He also ordained me to the priesthood. This December 14th was especially poignant, since it was my first anniversary without him on this earth. But I trust we’ll meet again in heaven! When we stop to list all the things we are grateful for, there are often so many it’s nearly impossible to number them all. I invite you too to reflect upon all the graces you’ve received this year. Also, as Christmas approaches I wanted to let you know my own needs, in case you feel called to support me. Would you be willing to help my ministry? I receive a part-time salary (about $12,000), which pays for a little over half of my yearly expenses. Healthcare, transportation, clothes, food, and other supplies cost about $22,000 a year. Would you please ask our Lord if he would have you support my mission as a priest and missionary? My Amazon wishlist is here. I can always use Amazon gift cards for books and the like as well. Praying for all of you as Christmas draws so near!